It’s time for another addition to my memory bear sewing series! This week I’m showing how to hand sew a ladder stitch. This stitch is so important for finishing any stuffed animal. The ladder stitch is pretty simple to do after you’ve practiced it a time or two and can be nearly invisible when done right. Click HERE to watch the step-by-step ladder stitch tutorial! 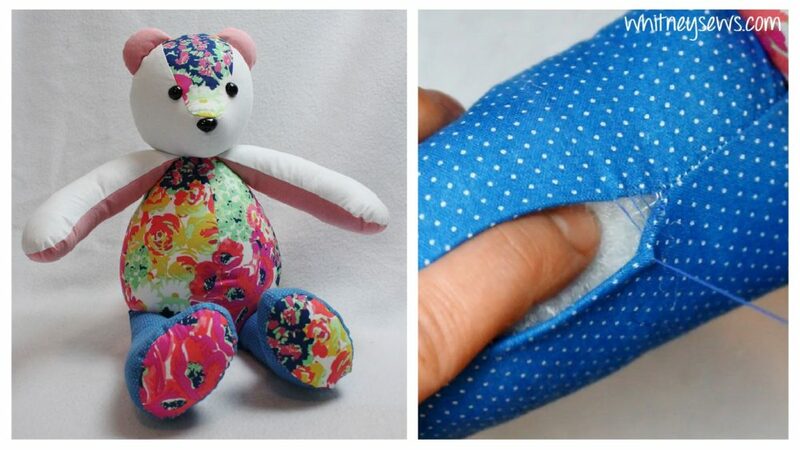 Lots more memory bears tutorials coming soon, so make sure you are subscribed to Whitney Sews on youTube. Until next time, Happy Sewing! This entry was posted in Blog, Memory Bear Sewing Series and tagged DIY, Handsewing, How to, keepsake, memory bear, Whitney Sews Memories.